Bitcoin and other cryptocurrencies are hot, trending topics today. However, so much information is floating around that it can make using Bitcoin seem confusing. In reality, Bitcoin is very simple to use. Just like watching a television, you do not need to understand the intricacies of how it works in order to be able to use it. Once you have it, you may want to access it by traditional means. After all not everybody, and especially not every bank accepts Bitcoin. At the same time, you may want to assure a level of privacy and anonymity that digital currency. 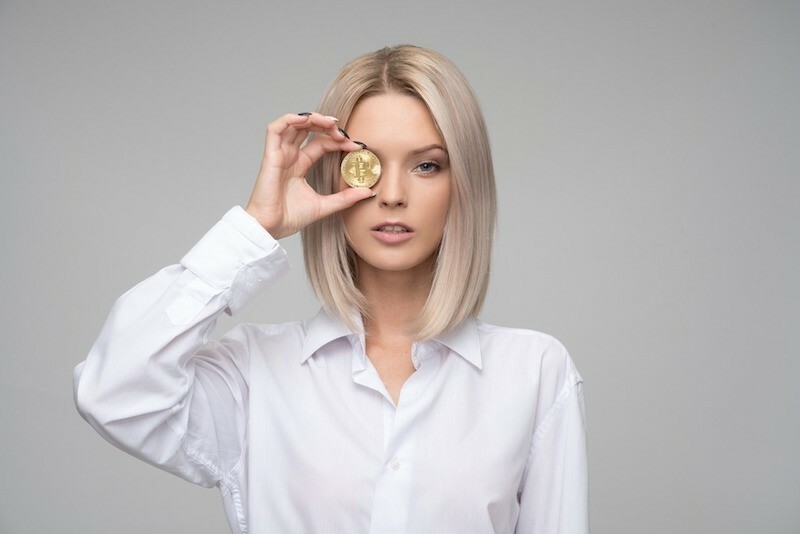 To achieve this, many people look for a cryptocurrency or Bitcoin offshore bank account. In other words, they want a place to store their e-currency aside from an app on their cell phones; or a place to convert it into cash and park it offshore. For the short answer, you can have a conversation with an experienced professional by utilizing the phone numbers or inquiry form on this page. We have access to offshore bank accounts that can house your Bitcoin and other cryptocurrency. Meanwhile, read further for more details. First, what is Bitcoin? Bitcoin is a new currency that was created in 2009. It is a form of decentralized digital currency. It enables users to make instant payments to anyone in any part of the world. Bitcoin operates without centralized regulation. Instead, Bitcoin uses peer-to-peer technology. 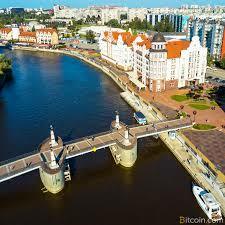 The management of transactions and issuance of money are carried out by the Bitcoin network collectively. Satoshi Nakamoto originally developed Bitcoin. This name is believed to be an alias that is used to describe the person or people responsible for the development of Bitcoin. Bitcoin was initially released under an MIT license. Bitcoin can be used to buy and sell items and services in the same fashion as conventional currency. Users can buy pizza, Amazon gift cards, and other normal items just like cash and credit cards. When thinking about how Bitcoin works, it is easy to compare Bitcoin to using a debit card. When a bank account holder is using their online banking system, they are accessing digital currency. These bank account holders can use the online system to send and receive wire transfers. These wire transfers represent a monetary value which can be withdrawn in paper currency. The same is possible with Bitcoin. Bitcoin can be exchanged for US dollars, Euros, or any other form of currency. It may also be traded directly for goods or services. Unlike with banks, however, transactions made using Bitcoin are made with no middleman. Additionally, there are no transaction fees associated with Bitcoin. Bitcoin also has no disclosure requirements. More and more merchants are beginning to accept Bitcoin and other forms of cryptocurrency. Bitcoin is not the only online digital currency. There are also Ethereum, Litecoin, and others. Bitcoin is the most well-known and widely used. It is very easy to start using Bitcoin. The first step is to use a smartphone and download an app that allows users to buy or get paid in Bitcoin. These apps are commonly referred to as Bitcoin wallets. The most popular app is called Coinbase. Users must follow the instructions on the app to link a bank account or debit card to the app. Typing ones bank’s online username and password links a bank account number. Verifying small deposits made over the course of one to three days can also link it. Bitcoin balances are stored in what is known as the blockchain. The blockchain is a shared public ledger. The entire Bitcoin network relies on the blockchain. All confirmed transactions are included in the ledger. This way, Bitcoin wallets can calculate their spendable balance. New transactions can be verified to ensure that Bitcoins being spent are actually owned by the spender. The integrity and the chronological order of the blockchain are secure. They are enforced with cryptography in order to maintain the privacy of Bitcoin users. Bitcoin transactions are transfers of value between Bitcoin wallets. These transactions are recorded in the blockchain. Bitcoin wallets keep a secret piece of data called a private key or seed. This data is used to sign transactions. This signature acts as mathematical proof that they have come from the owner of the appropriate Bitcoin wallet. The signature is also used to prevent the transaction from being altered by anybody once it has been issued. The confirmation period following a Bitcoin transaction is very short. All transactions are broadcast between users. They usually network usually confirms them within about 10 minutes. Buying Bitcoin is incredibly easy. In order to buy Bitcoin, users simply click the buy button on the app that they are using as a Bitcoin wallet. The user’s bank account is already linked to the app so there is no need to re-enter payment information. The user then enters the amount that they would like to purchase. Finally, the user clicks buy and the transaction is completed. It is that simple. 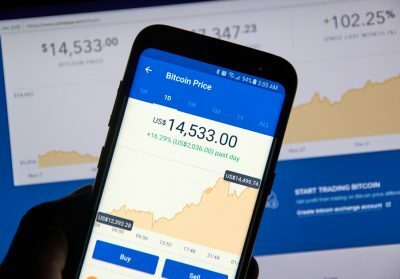 Bitcoin can be used for getting made or making payments quickly and easily by using a Bitcoin wallet, such as Coinbase. On the Coinbase app, there is a QR code icon which can be used to generate an electronic code to make a payment with Bitcoin. The intended recipient touches the icon and a QR code is displayed. The user can then share the QR code, the associated string of characters or associated email address via text with the one making the payment. Getting paid is easy. These are the instructions as of this writing. If the app has changed since this writing, some of the instructions may vary. Select the Bitcoin (BTC) Wallet. Select the QR code icon in the upper right corner of the app. Click “Share” to text or email your Bitcoin address or “Copy address” in order to then simply paste your Bitcoin address into a text or email. Once you have shared your Bitcoin address with the one paying you, he or she can follow the “How to Pay Someone…” instructions below. In order to make a Bitcoin payment to someone else, the user can request that the payee text or email his or her Bitcoin account number. The one making the payment will then click the accounts icon toward the bottom of the app. Select one the Bitcoin wallet (or other relevant currency). Then touch an icon in the upper right hand corner of the Coinbase app. On the next page, enter an amount. On the following page, copy and paste the account number or associated email address into the Coinbase app. Enter appropriate payment notes. Click next. Then confirm the payment. This works in much the same way as making a wire transfer using conventional currency. Bitcoin is becoming so popular because it provides users with numerous benefits over conventional currency. Bitcoin may be used to make purchases privately. Bitcoin does not require any ID for use. This makes it an ideal currency for people who do not wish to remain relatively anonymous. It is also suitable for the privacy-conscious or those living in areas with underdeveloped financial infrastructure. Bitcoin software is highly encrypted. As a result, cases of Bitcoin being hacked are extremely rare. 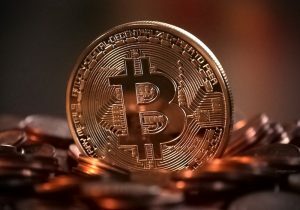 Almost all existing cases of hacking have occurred when the person in possession of the Bitcoin was careless with the password to their digital account. As long as the password is protected, Bitcoin offers significantly more security than conventional currency. It would be far easier for a burglar to steal cash stored in a home than it would be for them to steal Bitcoin without the password. The log that records the buyers and sellers of Bitcoin is never revealed. Only the wallet IDs of Bitcoin users are revealed. This allows users to maintain strict confidentiality while also making purchases and sales easily. The use of Bitcoin is perfectly legal. It may be used in all manner of legal transactions in the same way that cash and credit cards are used. Bitcoin is borderless and requires no permission for use. As of this writing, it is not regulated by any country in the world. That is likely to change. The currency is censorship resistant because no individual is able to block or freeze transactions of any amount. International payments are also easy to make with Bitcoin because the currency is not tied to any particular jurisdiction. As a result of this, currency conversion fees are also eliminated. Using Bitcoin also eliminates other fees which are common with financial transactions, such as credit card fees. Some people buy Bitcoin as an investment. They do so in the hope that Bitcoin will increase in value over the years. The currency’s recent history does show that continued valuation is likely, but Bitcoin may or may not be effective as an investment. Though we have seen staggering growth in the past, it is not guaranteed that it will happen in the future. Currency speculation can be very unpredictable. In this way, speculating on the valuation of Bitcoin is no different than speculating on conventional currency. Simply put, Bitcoin is a means of buying things. The way it goes up is if someone else comes along who is willing to pay more than you were. The primary advantage of Bitcoin lies not its value as an investment, but in the privacy that it provides. Because Bitcoin users do not have to register their names, transactions remain relatively anonymous. Bitcoins cannot be printed or debased. Only 21 million Bitcoins will ever exist. They have no storage costs and do not take up any physical space. As a result, Bitcoin may well prove to be the new international currency. Bitcoin will not reduce the need for offshore legal vehicles for asset protection. In fact, the opposite is true. The use of offshore business entities can actually increase the privacy and protection afforded by using Bitcoin. 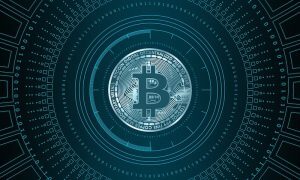 It is possible to increase the privacy afforded through the use of Bitcoin by registering the digital account associated with the Bitcoin to an offshore company. This creates an extra layer of separation between the Bitcoin and their owner. As a result, this technique is very valuable for asset protection. The best protection for Bitcoin can be found through the use of an offshore company. Offshore companies provide the best protection for Bitcoin because in countries such as Nevis, Belize and the Cook Islands, they are not subject to domestic judgments. As a result, if a judgment is made against a person in the US, that person’s creditors will have a tough time ordering the seizure of Bitcoin held in an account registered to an offshore company. 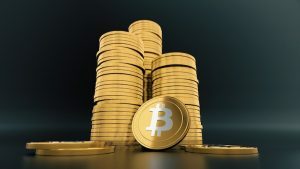 Would you like more information about a Bitcoin offshore bank account? You can utilize the numbers or inquiry form on this page to have a conversation with a trained professional.